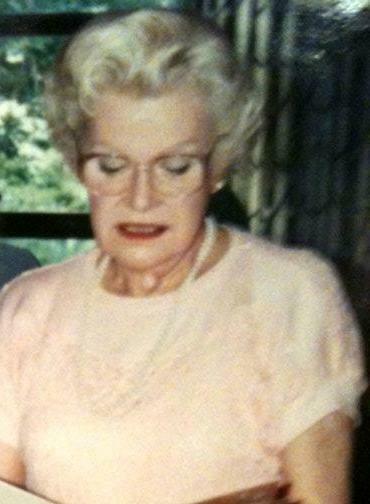 It seems appropriate on Mothers Day to remember Mom, who passed away nearly four years ago at age 90. It is likely due to her that this blog exists. Not only did she do the obvious of giving birth to me (and my two siblings). She was an avid reader and I still remember lunch times at home. Part of the time was spent reading our books. Part of the time was spent talking about them–I guess that’s where the reviewing part comes in. I loved exploring the shelves of books in our house, including the stash behind the clothes rack in my closet. I guess that might explain the proliferation of books in my own home. 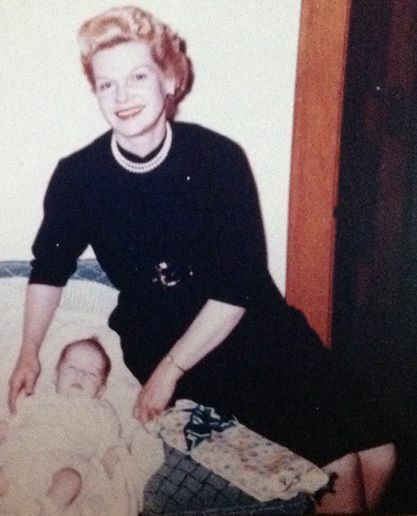 The first picture here is of my mom after giving birth to my sister in 1960. She looks pretty amazing considering she was nearly 41 and had just had her third child. The second picture was taken around 1990 when she would have been 70. I remember one of my male friends visiting our home when I was a teenager and when we were alone, he said, “Boy, your mother is hot!” I nearly punched him because you just didn’t go saying those things about one’s mother. But with the perspective of age, I have to say my friend was right! Mom was beautiful and smart as well. She was a good student and represented her high school (Chaney High School, the same school I attended) at a statewide Chemistry competition. If she were growing up today, she might have gone on to college, and perhaps a career in science or engineering. She loved learning all her life and was mentally sharp to the last. In her later years, we would talk on the phone every Sunday, about what was going on in Youngstown, what she was reading, and politics local and national. She was a “died in the wool” Republican despite living in a heavily Democratic part of town. Consequently, for years she was recruited to work at her local voting place. We didn’t always see eye to eye, but you could always count on a lively conversation! What I most remember was how she was always there for us as a family. I was sick quite a bit in my early elementary years until I got rid of my inflamed tonsils. I never was made to feel bad for being sick. Rather, it seemed like she always knew what to do to make one comfortable, whether it was a pain-reliever, a re-made bed, putting on the TV to watch (something we rarely did during daytime hours), or a glass of orange juice. She was also there to talk with when we came home from school. She wasn’t a helicopter parent running into school whenever there was a problem. Most of the time we talked it out and she helped me think through how to deal with a teacher, or a kid who was picking on me. My mother’s name was Dorothea. I always thought that was one of the most beautiful names I knew. It means “gift of God” and I think we all would agree that she was that to our family. She stood by all of us in hard times and good. Our own son and daughter-in-law treated us to a trip to Outback today and in ordering a steak, I was reminded how much my own mom loved a good steak, medium to medium rare. We were celebrating my wife, who also is a wonderful gift, but I could not help remembering with gratitude the “gift of God” my own mother was, and how much I loved her, and how much I miss her this day.